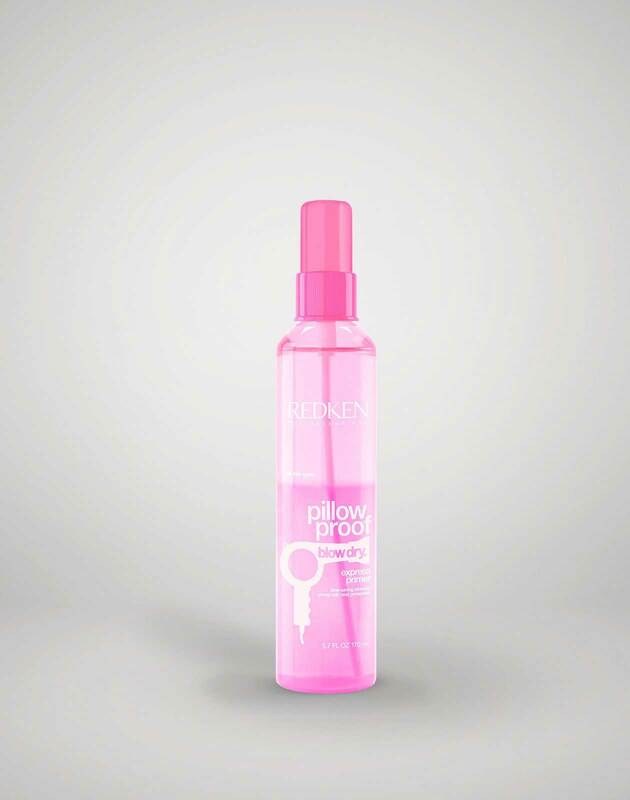 Spray pillow proof blow dry express primer all over damp hair and comb through. 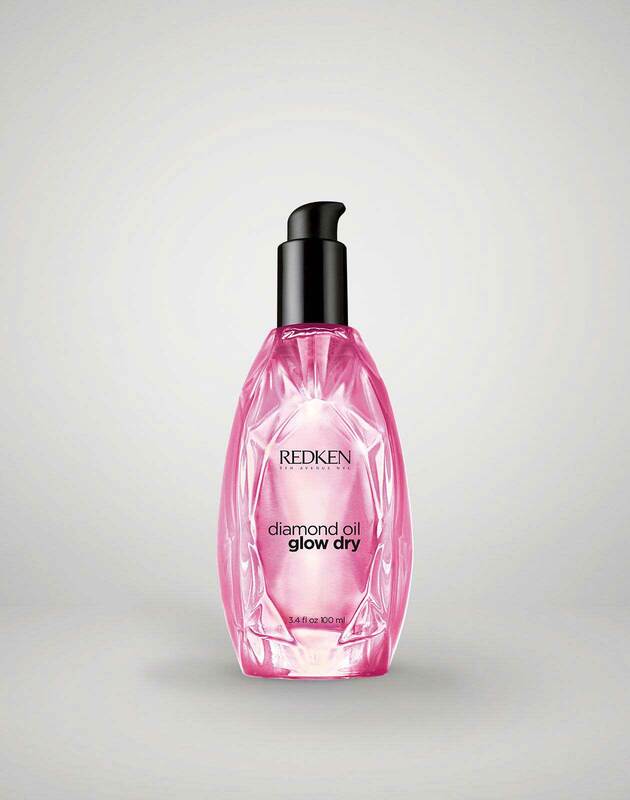 Apply 4 – 5 pumps of glow dry style-enhancing blow-dry oil and a nickel-size amount of satinwear 02 prepping blow-dry lotionthroughout damp hair for softness and shine. 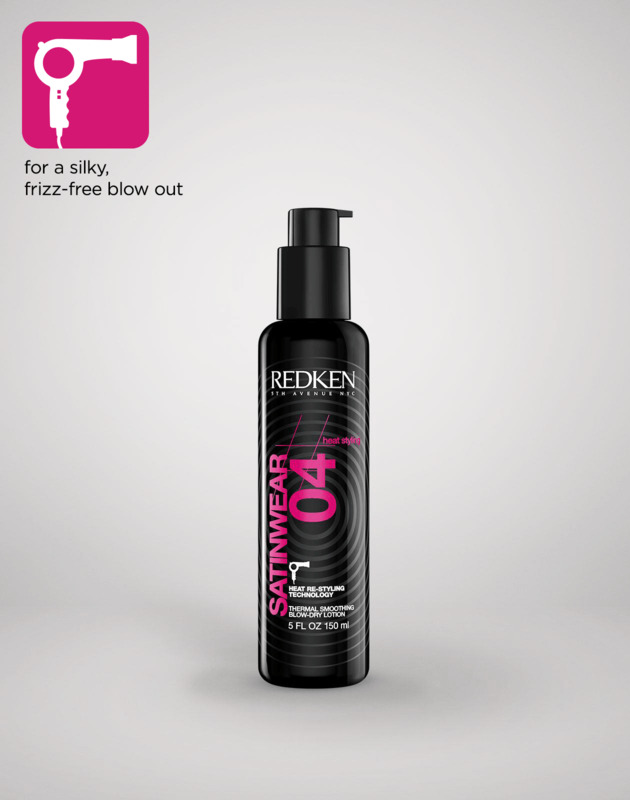 Create a clean center part using a comb. 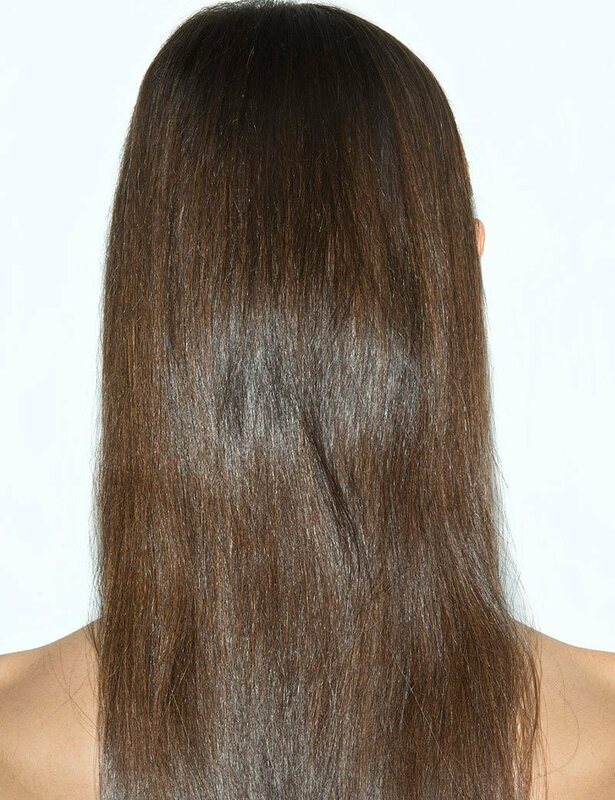 Blow dry hair smooth using a natural bristle brush for added shine. Tuck the hair behind the ears and, if desired, into clothes.